Jesus was a liberal, says Papyrus | Papyrus Watch - Exposing the overuse of the Papyrus font. 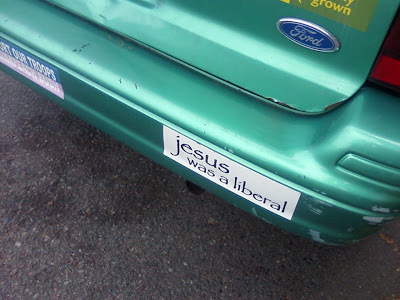 Well, since we're on the theme of Jesus how about this shot sent in by Elizabeth. Where do I start, or maybe I just shouldn't. This one's just terrible, topping of with Papyrus really completes the package.